Welcome to Our Great Little Town! Fyffe, Alabama is truly Somewhere Special. Located on the very top of beautiful Sand Mountain which is part of the southern most tip of the spectacular Appalachian Mountains. The most noteworthy aspect of southern living is the rural life style and quality of life Fyffe and Sand Mountain has to offer. You can bet once you live in the area you will want to stay. Fyffe is located just a few miles from Birmingham, Huntsville, and Chattanooga. We have small country diners and National Food Chains. However, the very best part of the area is it’s people. It is a friendly place with a work ethic that is hard to equal anywhere in the United States. The town’s annual UFO Days festival attracts interesting people from all over the country and as far away as Canada. The unique event continues to grow each year. In this case however it is an Unforgettable Family Outing (UFO) for both young and old alike. 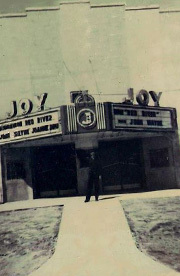 The festival capitalizes on the town’s famous history associated with when Unidentified Flying Objects were sighted over the town by numerous citizens in the area. Beautiful Giant Hot Air Balloons are the center-piece of the two day adventure that features hour long rides across the Sand Mountain area in lighter-than-air aircraft. They make a truly spectacular sight especially when all fifteen to twenty of them are floating across the early morning and late afternoon skyline. Vendors and great entertainment comprised of talented local musicians and special guests, along with some of the best vittles and such that this part of the state has to offer make the Fyffe UFO Days a great weekend destination. Fyffe is well known around the state for its outstanding athletic teams. The Fyffe Red Devils says it all if you are their competition. 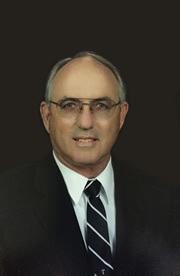 Former retired football coach Ronnie Haushalter and his boys set the standard with over 200 wins. But the school’s great tradition does not end there. But the Red Devils great athletic tradition would not be complete without mentioning the Lady Devils Basketball teams whom have won seven State 2A Championships. The Blue Trophies in their trophy case says it all. The 2008-2009 Lady Devils are on their way to the State Playoffs. 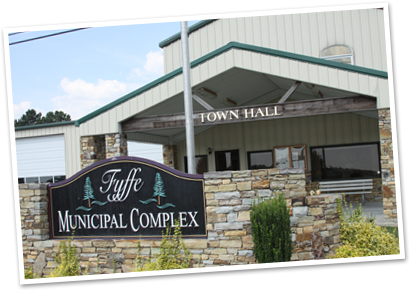 Fyffe is a great place to live and raise a family! Drop by and ask to speak with Mayor Katy Woodall or a member of the town council. You will see why we say Fyffe is truly Somewhere Special!! 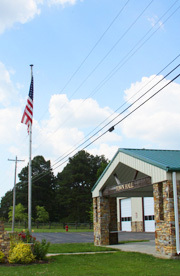 Fyffe is a small town but has highly trained police and fire department personnel on duty. 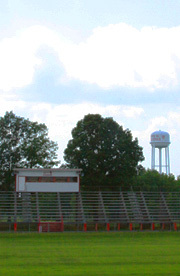 Home of the Fyffe Red Devils. If you've got some old photos of Fyffe and you'd like them to appear on the site, send us a copy.